Lately the latest decorating trends in homes are beautiful rustic furniture pieces, light paint colors, and turning something old into something new. After moving into my home I did not have a lot of extra money to spend on decorating, but with today’s trends it’s easy to make my house look like a dream home at a fraction of the cost. 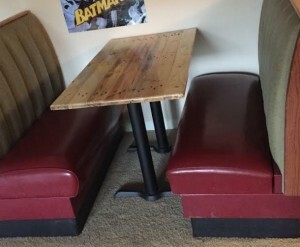 Wooden dinning room tables, living room tables, benches, headboards, the list goes on. 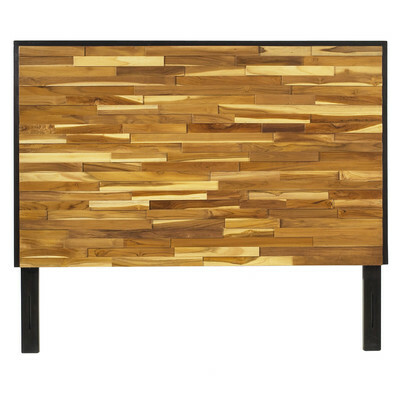 Rustic furniture is a big hit in todays homes. I for sure fell into this trend. I love rustic headboards and tables! Surprisingly you don’t have to spend an arm and a leg to get them. For example I would say wayfair has become a popular site for home décor so we will use them as our price comparison. 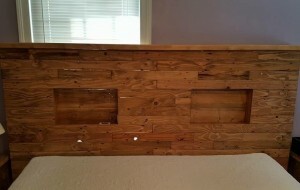 On wayfair the reclaimed wood headboard is currently on sale for $620 dollars that is just the head board. We built ours for a less than half that cost. 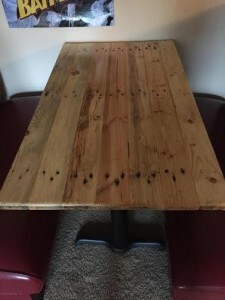 A good way to stimulate this yourself for less is to go by stores or places that recycle or sell wood pallets, I called around town and certain stores will sell them or give them away. We then went through about 5 different YouTube videos and took bits and pieces from them to create our own masterpiece I would suggest that you do the same. 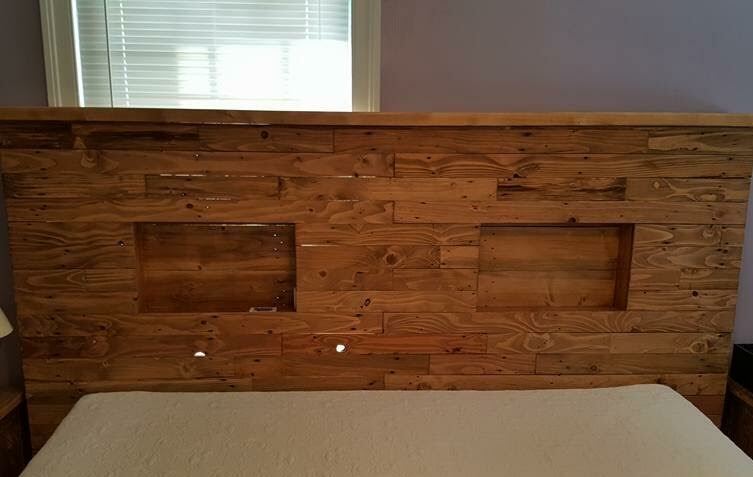 After a Saturday of work in the garage and a lot of snack breaks we had completed our rustic style headboard for half the cost! You can turn any old dresser into a modern one with some sanding and some paint. Don’t go out and drop 150-300 dollars on a new dresser when you can spend 20 bucks on sand paper and paint to completely transform it! I transferred my old oak dresser into a nice white dresser with updated knobs it looks wonderful! In the latest kitchen trend kitchen cabinets being white is very popular. DO NOT go out and buy all new shaker cabinets so that your kitchen can fit in. You can take a weekend to sand and paint them, maybe put some new hardware on them to spruce them up and then BAM! New kitchen! It does not take much to enjoy a fresh coat of paint. It makes something old feel like something brand new. There are so many opportunities to decorate your home for less. Pinterest and YouTube will be your best friends throughout these projects. I wish you all well in your new home and remember you don’t have to spend an arm and a leg to fit in to the latest housing trends. Please feel free to comment below if you have any questions regarding any of my projects! I hope you all have a wonderful time starting new projects!